On the western margin of Montalbano, Monsummano Alto rises to 350 metres above sea level in its truncated conical shape. Settled in the early Middle Ages too, it was a castrum – a fortified military camp – and there is documentary evidence of the town as far back as 1005. After fluctuating fortunes it passed under Florentine control. Of the ancient castle on the hill the ruins of the oval shaped wall system have survived, walls which ran for the whole around two kilometre perimeter together with two of the three original gateways: the Nostra Donna gate to the north-west and the Del Mercato or Porticciola gate which is virtually intact and faces the Montevettolini hills. Of the great many towers in the castle, one robust pentagonal tower has survived. The Chiesa di San Nicolao – well preserved and situated within the historic walls – has an ogival arch with lunette and a small central oculus at the top just below the roof gables. The interior is extremely simple with a high altar dating to 1674 set into the apse with a beautiful wooden altar above it. The belltower, to the right of the facade is open at the base with a vaulted passageway. 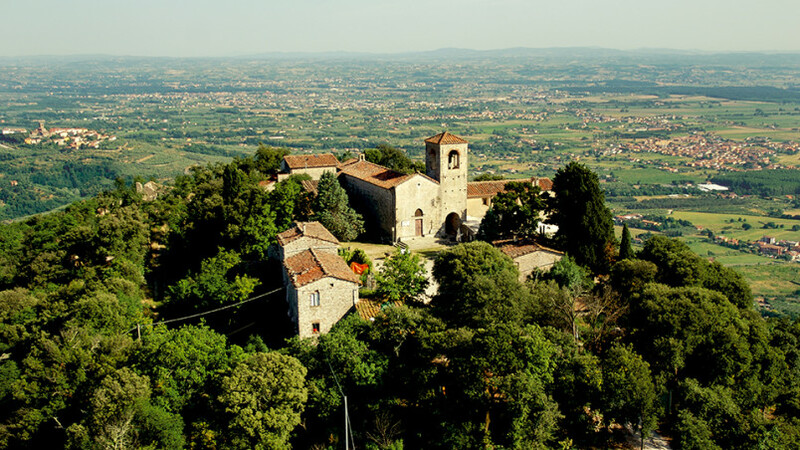 Climbing up a hill full of olive trees – that typically Tuscan tree – takes you to Montevettolini which was founded in the 12th century as a fort. The town’s Palazzo Comunale and Pieve di San Michele testify to this period of its history. Particularly atmospheric are its octagonal tower called ‘dello Sprone’ or ‘della Murina’ with the perfectly conserved Porta del Vicino and the Porta del Cantone which was incorporated later into Villa Medicea. After alternating fortunes linked to the struggles between the warlike Tuscan towns, when the Medici took over the grand dukes chose Montevettolini as a hunting location and built a residence there. A great many patrician dwellings sprang up around it.